Do krill swarms affect the distribution and behaviour of whales, and does the potent mix of predators, prey and their poo, positively affect productivity in the Southern Ocean? These are just some of the questions a team of krill, whale and biogeochemistry experts hope to answer during an ambitious 49 day voyage aboard CSIRO’s Marine National Facility’s RV Investigator this summer. Australian Antarctic Division marine mammal scientists Dr Elanor Bell and Dr Mike Double will lead the science contingent on the voyage. Image Dave Brosha/Australian Antarctic Division. Voyage Chief Scientists from the Australian Antarctic Division, Dr Mike Double and Dr Elanor Bell, said krill swarms can be deep or shallow, dense or diffuse. However little is known about how these different swarm types are distributed across the Southern Ocean and whether some are more attractive to whales than others. 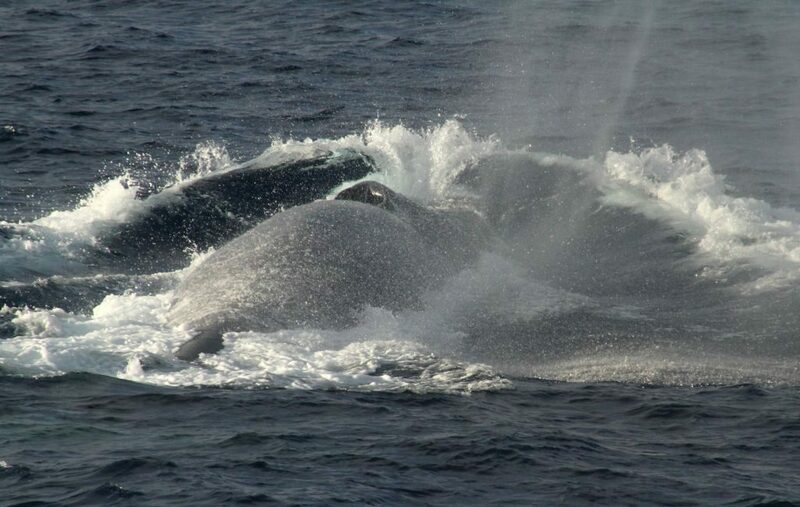 “Previous research suggests that large, dense swarms may be targeted by fast-moving blue and fin whales that engulf their food, while smaller, deeper krill swarms may be suited to more manoeuvrable whales, like humpbacks and minkes,” Dr Double said. Scientists aim to understand how different Antarctic krill swarms are distributed across the Southern Ocean and whether some swarm types are more attractive to Antarctic blue whales than others. Image: Melinda Rekdahl/Australian Antarctic Division. Buoy, is that a whale? The voyage will look specifically at the distribution and behaviour of Antarctic blue whales in the Ross Sea region, in the presence and absence of Antarctic krill. “We’ll track Antarctic blue whales in real time, from hundreds of kilometres away, using passive acoustic technology that detects their low frequency calls,” Dr Bell said. Biogeochemists on the voyage will test whether there is more iron in aggregations of feeding whales than in areas containing only krill, or neither species. They will also investigate whether the iron in whale poo stimulates phytoplankton and bacteria growth in the local area, and if this has broader effects on the ecosystem. 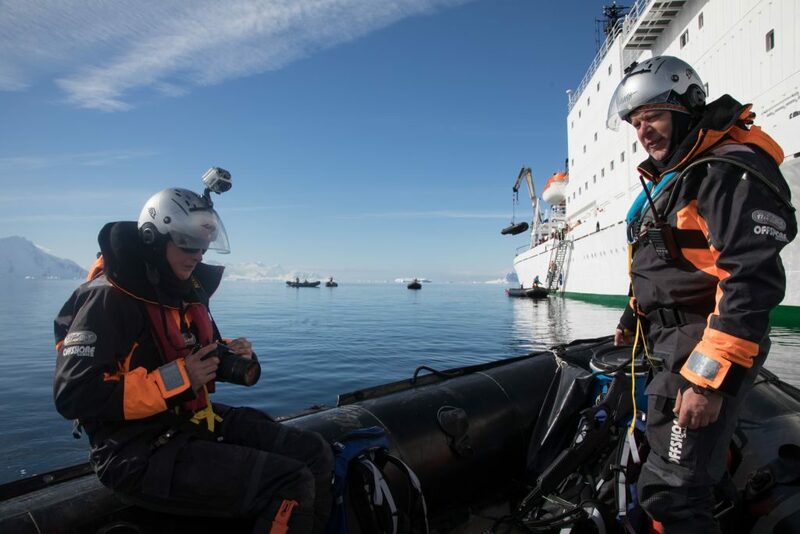 “This voyage will provide the first detailed, three-dimensional description of the variability of krill swarms in East Antarctica, and the first assessment of iron fertilisation by whales and krill and its effects,” Dr Double said. A range of modern technologies will be used throughout the voyage. 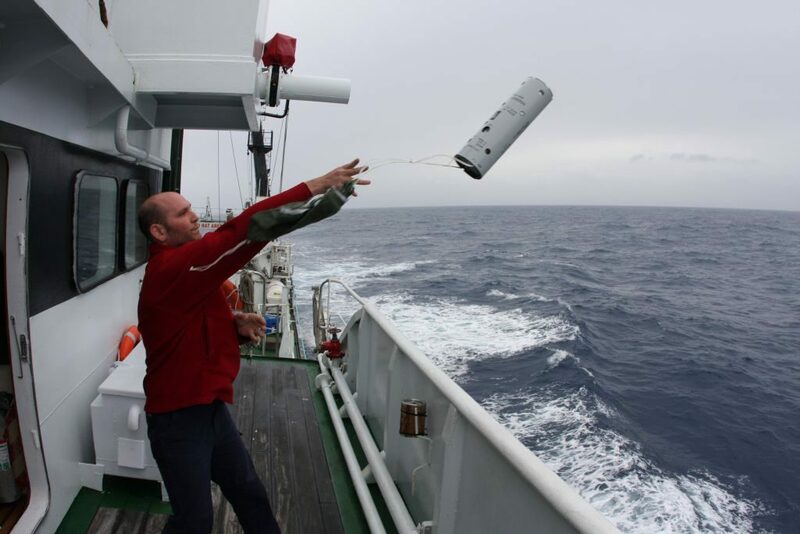 Dr Brian Miller will deploy sonobuoys to pick up blue whale vocalisations from hundreds of kilometres away. Image: David Donnelly/Australian Antarctic Division. To begin with, Australian Antarctic Division acoustician, Dr Brian Miller, will use small underwater listening devices, called sonobuoys, to track and locate blue whales once the ship leaves Hobart. Sonobuoys can detect blue whale vocalisations up to 1000 kilometres away, and once the team get within about 50 kilometres of the vocalising whales, multiple sonobuoys can be deployed to triangulate their precise location. Once whales are located within the survey area, the team will count and photograph the whales and use video tracking technology to record movements, swimming speeds, and blow and diving intervals. These recordings can then be used to compare whale activity in areas with and without krill. Throughout the voyage, the ship’s multibeam echosounders will be used to look for krill and to characterise the size and density of any swarms within whale aggregations and elsewhere. These instruments send pings of sound out in the environment, which reflect off organisms in the water column, providing information about their shape, size and density. “Multibeam mapping will give us the three-dimensional structure of the krill, while target trawls for krill will provide information on the species, biomass and size,” Dr Double said. A team led by Dr Guy Williams, from the Institute for Marine and Antarctic Studies, also aims to deploy fixed-wing and multi-rotor drones to photograph the whales, and potentially collect samples of their blows and any faeces in the surface water. “This is really new technology and we don’t know what we’ll be able to achieve,” Dr Williams said. “But we hope to have a system to collect the mucus in a blow when a whale exhales, which will contain the whale’s DNA, as well as exhaled microbes and environmental contaminants. Iron is an essential trace metal for phytoplankton growth in the Southern Ocean. However it is a ‘limiting’ nutrient, which means there’s not very much of it available for growth, compared to other nutrients. 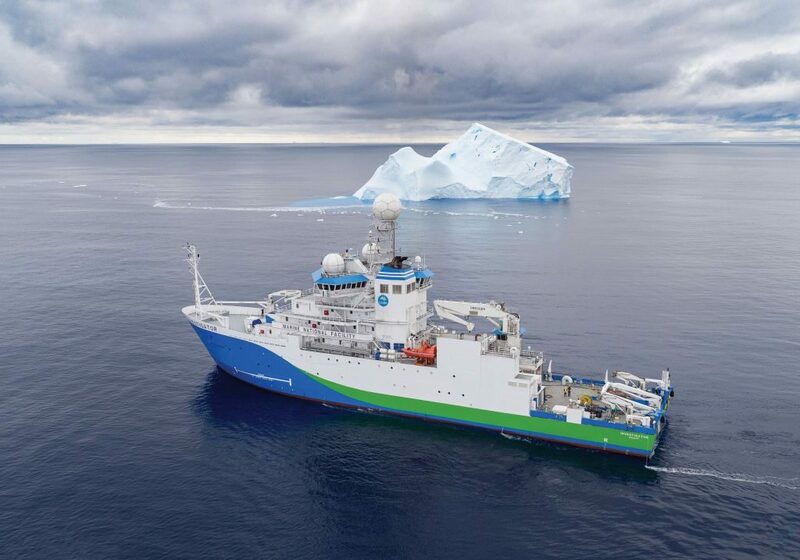 An international team of scientists will spend 49 days aboard RV Investigator studying Antarctic blue whales, Antarctic krill and Southern Ocean biogeochemistry. Dr Karen Westwood and her biogeochemistry team will look at the effect of iron and other nutrients in whale faeces on the phytoplankton and bacterial communities in the Southern Ocean. Image: Stacy Deppeler/Australian Antarctic Division. One theory is that whales can fertilise the ocean with iron, after consuming iron-rich krill and excreting the metal in their faeces. Whale faeces is also rich in other nutrients, such as dissolved organic carbon, which can stimulate bacterial growth. 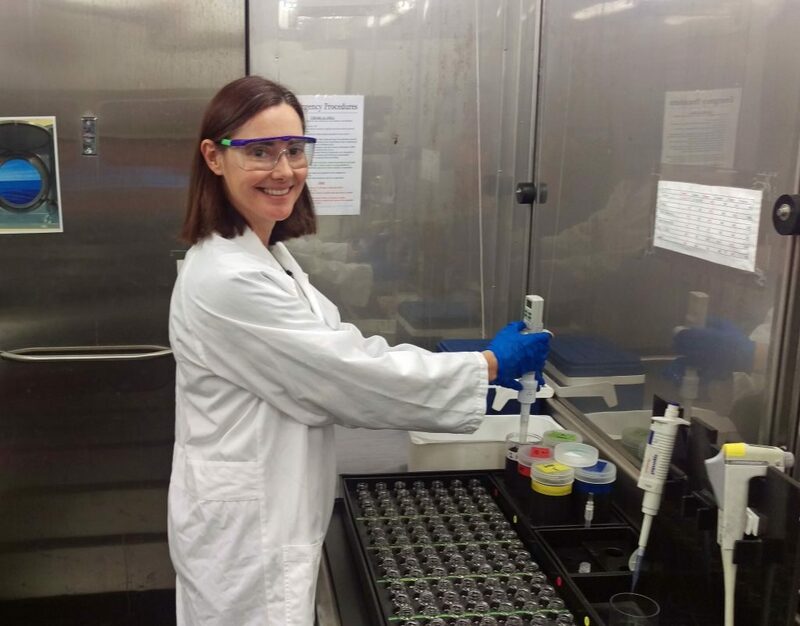 Australian Antarctic Division biogeochemist, Dr Karen Westwood, along with Dr Lavenia Ratnarajah from the University of Liverpool, and Dr Bonnie Laverock from Auckland University of Technology, will conduct the first in-field experiments to test this theory. “We’ll aim to assess the effect of whale faeces on phytoplankton and bacteria locally, and whether it changes the production and composition of the community,” Dr Westwood said. To do this the team will measure iron concentrations in water collected from different depths, in areas with whales and krill, whales only, krill only, and neither species. Samples from these collection areas will be incubated in the ship’s laboratories to see whether there is an increase in the growth of phytoplankton (primary production) and bacteria over time. Phytoplankton samples will be examined under the microscope to look at species composition, while microbial diversity will be assessed by DNA sequencing. “Generally when there’s a lot of iron around, you get a lot of large diatoms, which krill can feed on very efficiently,” Dr Westwood said. Water samples will also be measured for changes in bacteria-driven nutrient cycling, and the production of dimethyl sulphide (DMS) – a gas produced by phytoplankton that contributes to the formation of clouds. Finally, the team aim to deploy a marker buoy into a suitable ‘poo patch’ and return to sample the patch each day over five days. “The marker buoy will float with the body of water containing the faeces and repeated sampling will tell how fast the iron sinks, and whether primary production or bacterial communities in the patch change over time, as the iron potentially becomes more bioavailable,” Dr Westwood said. It’s an exciting opportunity for three very different scientific disciplines to combine their expertise and technologies to build an understanding of the Southern Ocean ecosystem that will, as a result, be greater than the sum of its parts. And at the end of the day, who doesn’t like a good poo story. This article originally appeared in Australian Antarctic Magazine – Issue 35, December 2018. Fascinating study. I sail the Qld. east coast fairly regularly. Last August/September I noted large, dense areas of phytoplankton around the tropic of Capricorn. Whales were also returning in big numbers from the north. Is there any chance of a connection between the two events? Thanks for your question. You sighted those humpback whales on the southern migration to their Antarctic feeding grounds – a journey they make predictably every year. Some of our recent work indicates that the east coast population of humpback whales will take little snack breaks on their way south to the masses of krill in the Southern Ocean.